An excursion to immerse ourselves in the spirit of Miami, the most famous city in Florida, cosmopolitan and extravagant, attracting millions of tourists from all over the world with its exclusive neighbourhoods, endless beaches and natural beauty. After leaving the Everglades port, we travel along the coast to Miami Beach's famous Art Deco District, renowned for its Déco architecture and colourful houses. The panoramic tour takes us through the history of the city with its main sights such as Biscayne Bay and its incredible lagoon and Downtown Miami. In Bayside, we board a boat for a audioguide panoramic tour of Biscayne Bay to admire the many private islands owned by celebrities known as Millionaire’s Row as well as Star Island, Palm Island, Hibiscus Island and Fisher Island. After feasting our eyes, we have some free time for lunch and some shopping in Bayside. 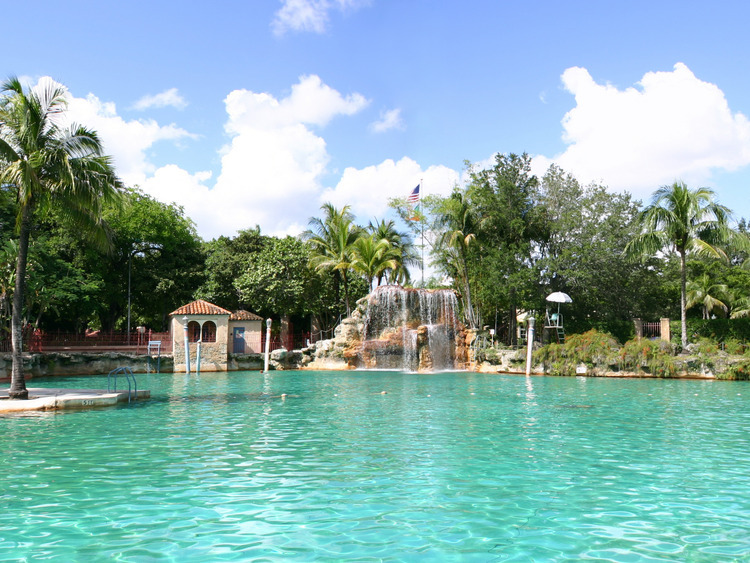 Before heading to the airport, we continue our coach ride through the elegant Coconut Grove neighbourhood, Coral Gables with its Venetian Pool*, a natural pool filled every day with spring water, and the* Little Havana** Cuban neighbourhood. This excursion is available to guests whose flights are scheduled to leave from the international airport of Miami after 19:00.